Taste: This is an amazing tasting blend which brings nearly the exact same taste of a Jamaican Blue Mountain coffee.  Delicate mildness and complexity of flavour, this coffee certainly delivers. Lightly roasted to preserve layered tastes of herbs and spices, the beans are further characterised by honeyed floral notes and a crisp, elegant finish. Processing: Semi washed and Sun-dried on various origin beds.